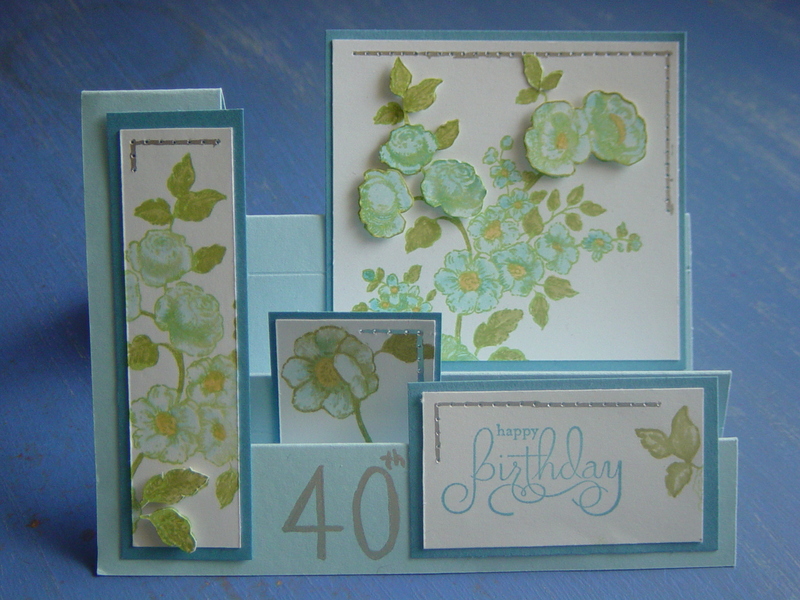 This is another simply gorgeous card made by my mother. 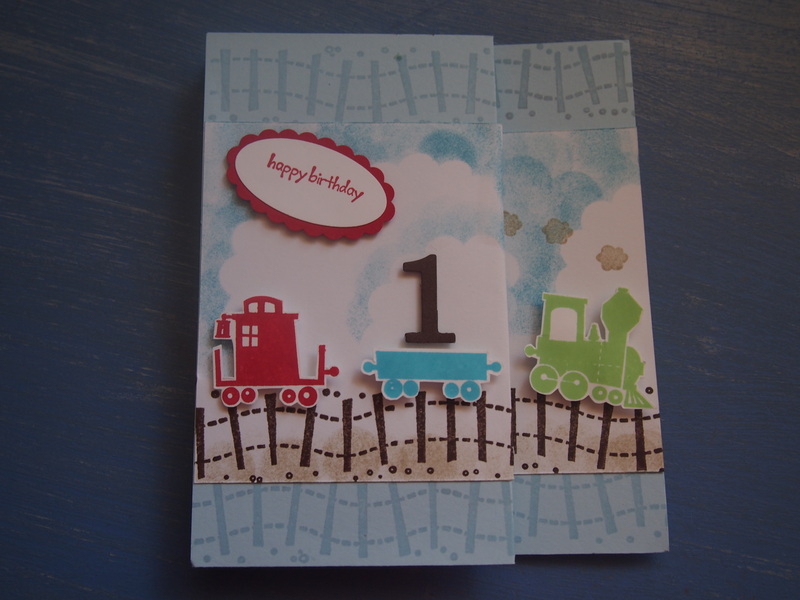 This one is for Aiden, who turned one on Friday. On Saturday afternoon we went to Aiden’s grandparent’s house for a party, it was lots of fun with lots of people there. 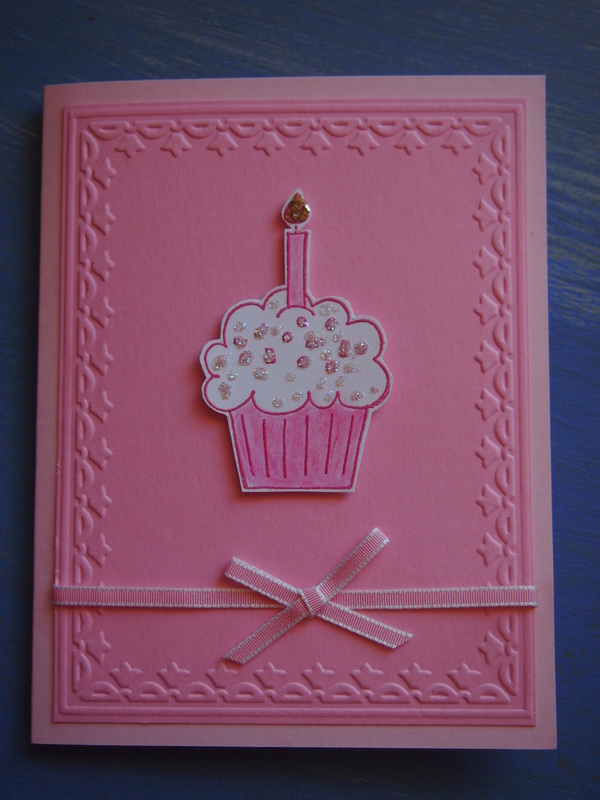 I’m so happy to be able to give these special birthday cards, it’s so much nicer than store bought cards I think.What do you think? Thomas turned one nearly a month ago, but we’ve been so busy catching our breath after a very busy Christmas season, this is the first chance I’ve had to blog about it! This was our first ‘proper’ Christmas with Thomas, as his first Christmas was spent in the hospital nursery, and I was still in hospital that day myself. That’s why we decided we should make an extra effort this season, and visit everyone in the family, which we managed to do, except for seeing my sister and her family in Darwin. We hadn’t gone anywhere all year, with Thomas being so small I didn’t feel confident enough. So Christmas was a very busy season for us indeed this year, and we’ve decided we should spread things out a bit better next year so it’s not so overwhelming! One thing we can’t change though is Thomas’ birthday, which is on December 14th, right when things start to get busy. We had to have a party of course, in fact we celebrated all week with visits from family and friends spread out so our small home would not be too crowded in case it rained. Thankfully it didn’t rain! 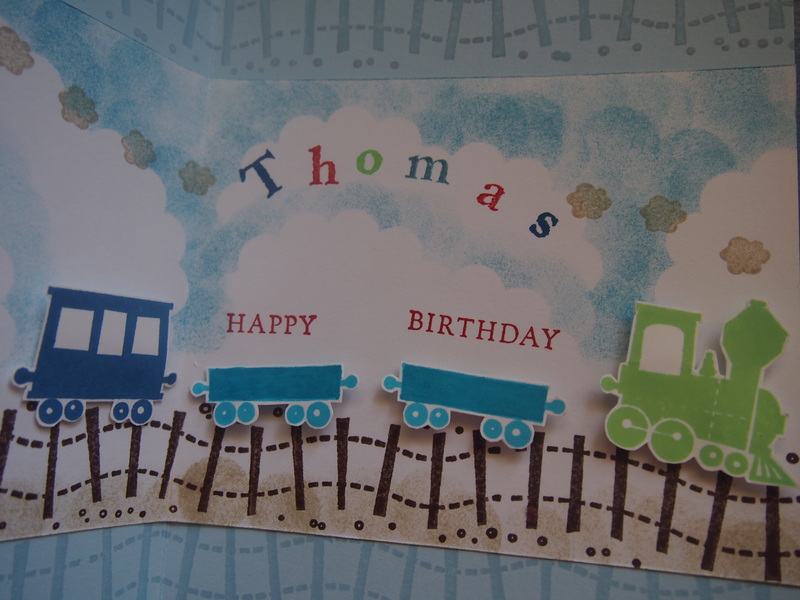 My mum came to visit Thomas on the day though, and brought gifts and this very special handmade 1st birthday card. I just adore my mum’s handmade greeting cards, don’t you? They are so special. I’m trying to convince her to try and sell some, I think they might be popular! 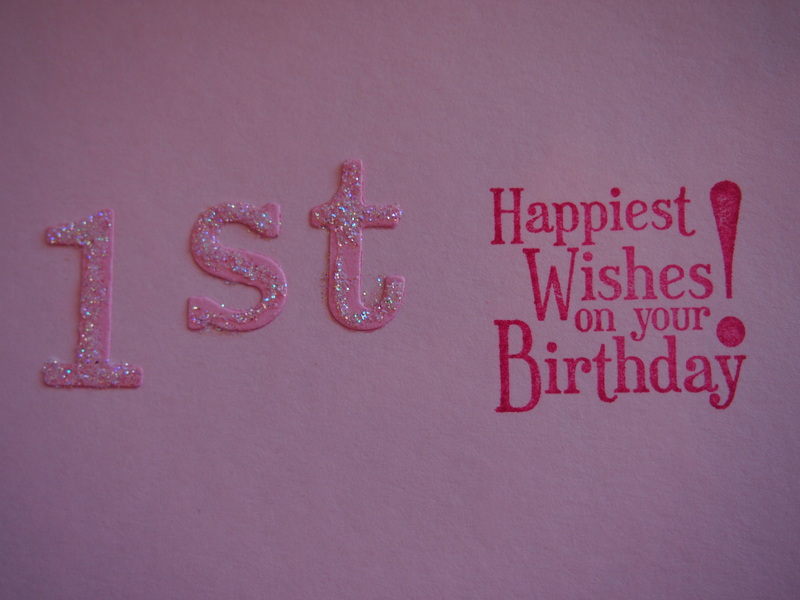 Today is the second 1st birthday in our mother’s group so we have a party to go to, it’s very exciting! I made this small striped bag with a flower as a gift, I hope she likes it! 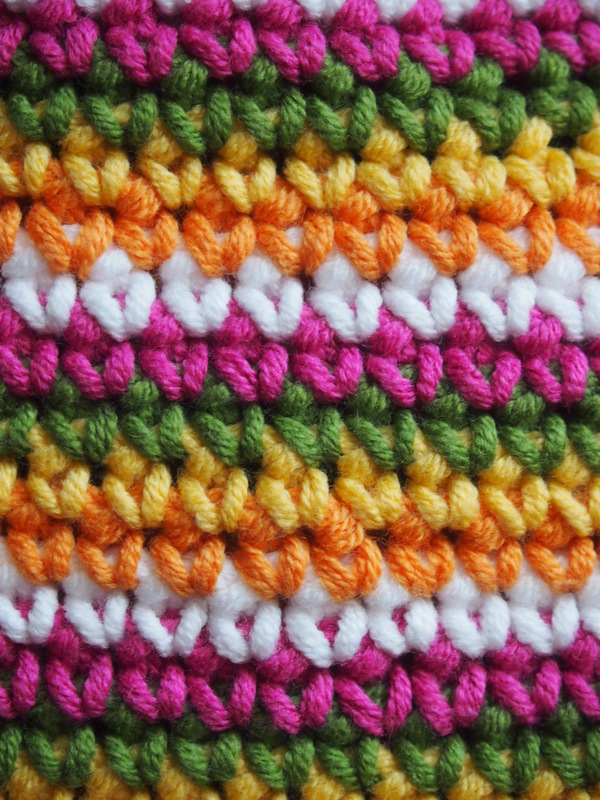 I used 5 colours from my batch of cotton blend, it’s a thick yarn so I used my 4mm hook. 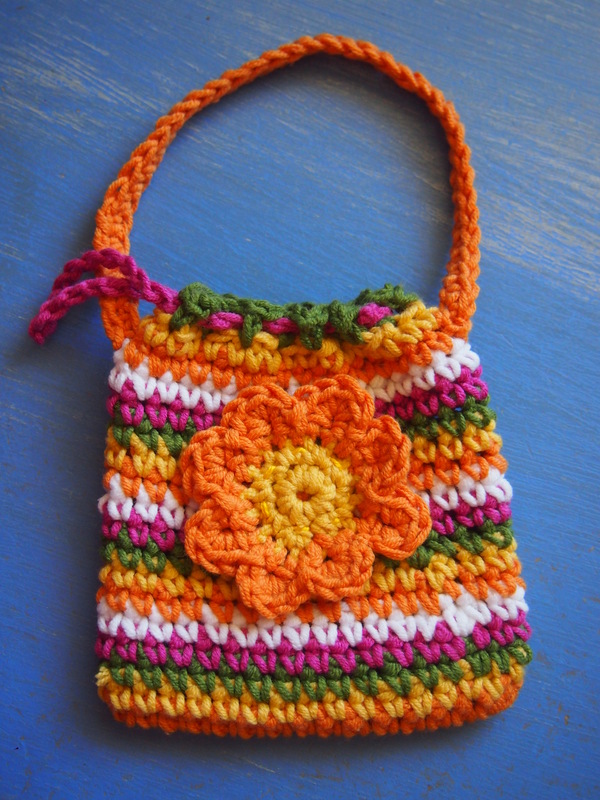 It’s a simple bag, changing colours every row of sc using orange, yellow, green, purple and white. I didn’t follow a pattern for the flower either, just did a couple of rounds in yellow ending up with 16 sc, then changed to orange and did 8 petals. Each petals started as 3 ch in every 2nd sc, then the second row is 5 sc into the sp with a sl st to start a new petal. I used fine cotton and needle to do a simple running stitch to attach the flower to the front. For the bag, a sc ch lip for a ch handle to be threaded through, and a larger ch handle with a second row of sc in orange. The one thing I’m unhappy with is this cotton is too thick to thread through my needle so I couldn’t finish off the ends very neatly. Instead I have to weave them in with my crochet hook which means the ends can poke through easily. Eventually there will be some loose ends visible in this bag which will make it look a little rough. Hopefully that will add to the home made character of it! To go with this gift my mum made a special home made birthday card, which is very nice! I’ll also include a small Fisher-Price little people car inside the bag, and of course a book which I always love to give children! Children can never have too many books! 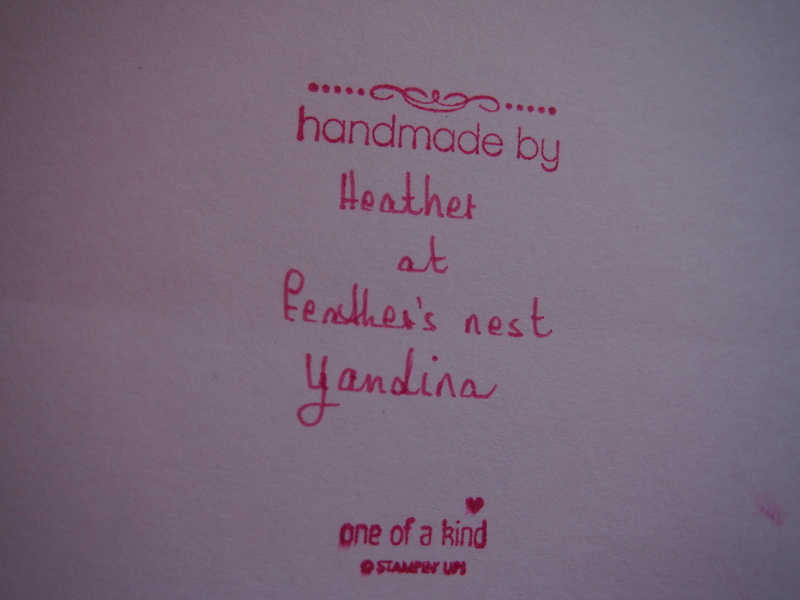 I love this home-made gift tag made by our friend Lyndal for this year’s Secret Santa! Isn’t technology great? 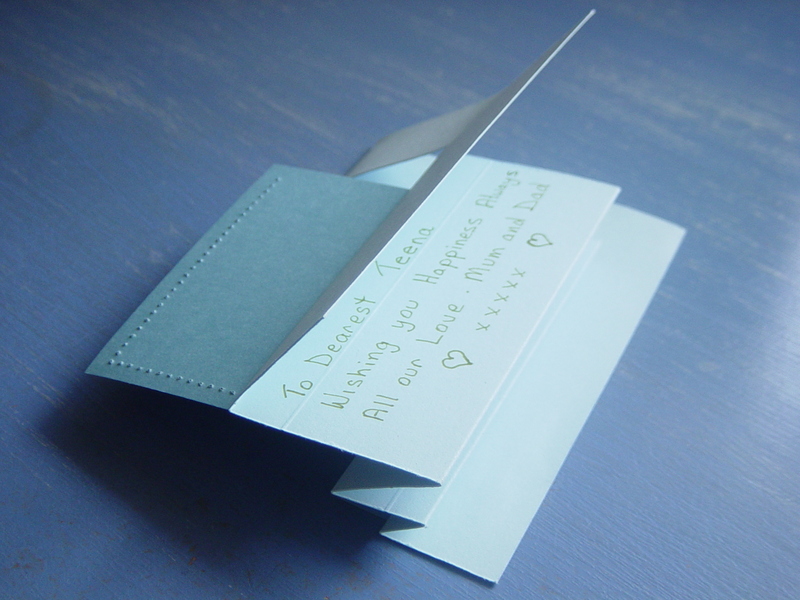 To make this simple gift tag, perfect for a young child, all you need is a colour printer and access to the internet. 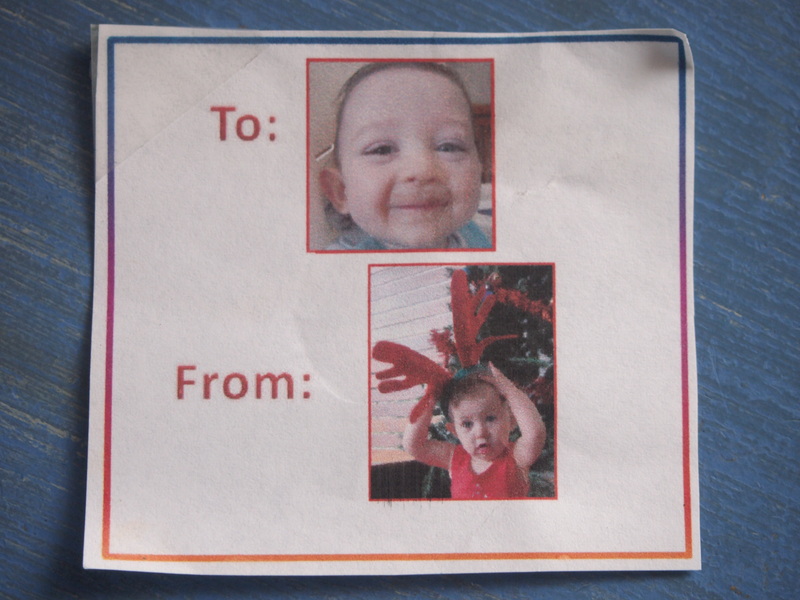 Lyndal found a picture of Thomas on my facebook page, and printed it up along with a picture of her daughter, Isabella. And I just love the cheeky grin in this photo, when Thomas has chocolate custard smeared all over his face! 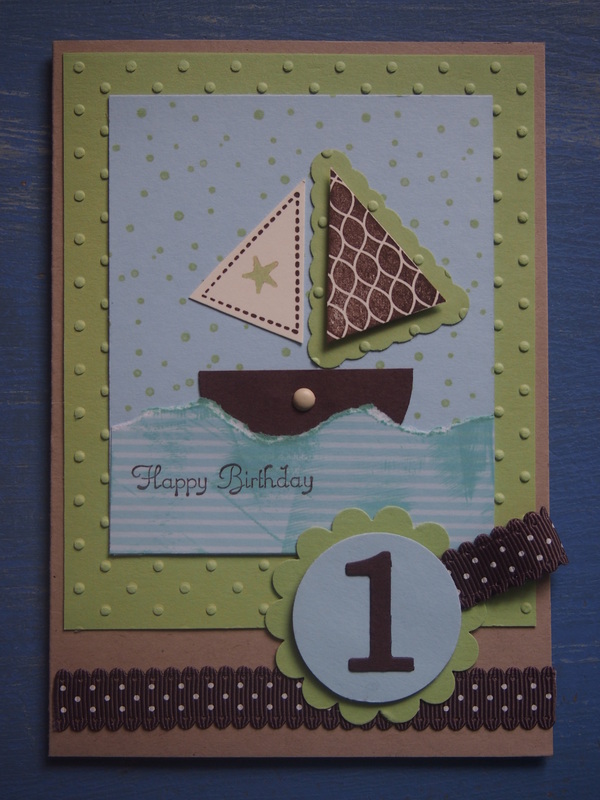 This kind of gift tag is perfect for young children who are learning to read. Thanks for this wonderful idea Lyndal, I think I might just have to use it myself this Christmas! It’s been so long since I’ve blogged! The last few months have been full of looking after baby, he’s been having trouble with his sleeping, but he’s asleep in his cot right now so I finally have a chance to post! It was months ago when I celebrated my 40th birthday in July with my family, my parents came to visit the day before and we all went to a local Chinese restaurant, the Landmark, for Yum Cha. It’s definitely one of the best Yum Cha places in Brisbane, if not the best. David and I like to go often, we first took Thomas when he was about 5 months old and able to sit up in the high chair. But we don’t have him sitting in the high chair the whole time, sometimes we hold him on our lap. For my birthday we didn’t have a high chair at all, and we all took turns to hold him. A special surprise (I hate surprises, by the way!) from my sister was she organised to send her eldest son Deegan down from Darwin to come to my special birthday lunch! Now, that was a surprise! Mum and dad had to go to the airport on the way to pick him up, which made them late, but of course they couldn’t tell my why they were late because it was a surprise! We ended up waiting an hour for our table, in future I must remember to go early on a Sunday, or make a reservation. Once again mum gave me a special hand made card. This one looks very unique and tricky. It’s so unusual I wasn’t sure how to open it, but the message was hidden on the back. My mum is very talented, don’t you think? Two good friends from high school celebrated their 40th birthdays last month. 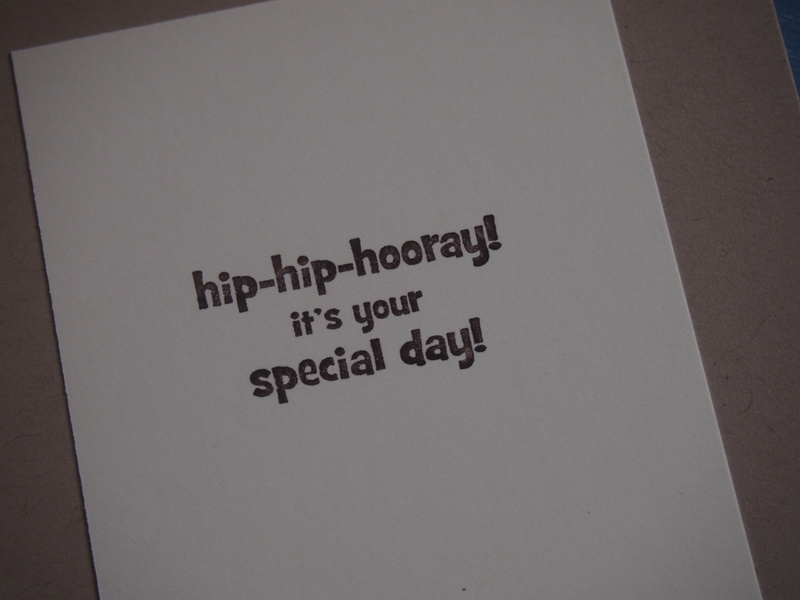 A special occasion like this required a special something sent in the mail! My mother has started making more greeting cards and I must say they are rather good! I chose these two to send to my old friends, and I’ve since heard they both reached their destinations safely! And that was despite rainy weather – there’s always a danger that snail mail will get waterlogged! You don’t get that problem with emails over the internet! My friend Karen has always kept birds, usually cockatiels, so I thought the pretty card with the caged birds would be nice for her. The owls look rather cute and thoughtful so I sent them to Marina. She has since told me that owls are one of her favourite things, possibly due to being a librarian, but I’m not sure! My mother made this clever cardboard box, she gave it to me for Easter filled with little chocolate eggs. The lid is part of the box, when you lift it reveals an opening in the middle. After the eggs were removed, I peeked inside and saw more pretty eggs printed inside!